Early Anxiety and Depression OR Benzodiazepine use Associated with Future Dementia ?? Depression is identified as a risk factor for dementia. Little research has been carried out on the importance of anxiety, despite strong evidence of co-morbidity with depression. This case-control study was set in the Consultations in Primary Care Archive. Cases (n = 400), were patients aged >65 years old. About 1353 controls were matched to cases by gender, practice, age group and year of case diagnosis. - A past anxiety diagnosis was associated with a future dementia diagnosis [odds ratio 2.76 (95% confidence interval 2.11-3.62)]. - The association of depression with dementia was attenuated by the high prevalence of anxiety within those who have depression. - Including an interaction of depression and anxiety showed that having only depression was associated with future dementia diagnosis but a diagnosis of depression alongside anxiety did not increase the likelihood of a dementia diagnosis compared to having just an anxiety diagnosis. - Prior diagnosis of anxiety was strongly associated with dementia diagnosis after adjustment for other risk factors. - The independent effect of depression was weaker compared to anxiety. - Given the higher prevalence of anxiety primary care physicians should consider anxiety as well as depression as premorbid risk factors of dementia to improve early recognition and facilitate greater access to services. The association of anxiety and depression with future dementia diagnosis: a case-control study in primary care. Fam Pract. 2012 Nov 5. But most recent article published in BMJ: "Benzodiazepine use and risk of dementia: Prospective population-based study" (Sep 27, 2012). Design: Prospective, population based study. Participants: 1063 men and women (mean age 78.2 years) who were free of dementia and did not start taking benzodiazepines until at least the third year of follow-up. Main outcome measures: Incident dementia, confirmed by a neurologist. - During a 15 year follow-up, 253 incident cases of dementia were confirmed. - New use of benzodiazepines was associated with an increased risk of dementia (multivariable adjusted hazard ratio 1.60, 95% confidence interval 1.08 to 2.38). - Sensitivity analysis considering the existence of depressive symptoms showed a similar association (hazard ratio 1.62, 1.08 to 2.43). - A secondary analysis pooled cohorts of participants who started benzodiazepines during follow-up and evaluated the association with incident dementia. The pooled hazard ratio across the five cohorts of new benzodiazepine users was 1.46 (1.10 to 1.94). - Results of a complementary nested case-control study showed that ever use of benzodiazepines was associated with an approximately 50% increase in the risk of dementia (adjusted odds ratio 1.55, 1.24 to 1.95) compared with never users. The results were similar in past users (odds ratio 1.56, 1.23 to 1.98) and recent users (1.48, 0.83 to 2.63) but reached significance only for past users. 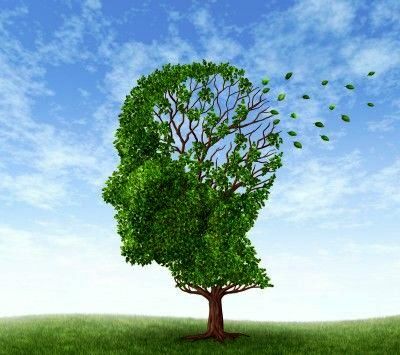 - In this prospective population based study, new use of benzodiazepines was associated with increased risk of dementia. - The result was robust in pooled analyses across cohorts of new users of benzodiazepines throughout the study and in a complementary case-control study. - Considering the extent to which benzodiazepines are prescribed and the number of potential adverse effects of this drug class in the general population, indiscriminate widespread use should be cautioned against. What are your views on these 2 studies results published in last 3 months.